The Crestone End of Life Project (CEOLP) is a non-profit 501.C13 community service organization, initiated to serve community members’ end of life wishes. 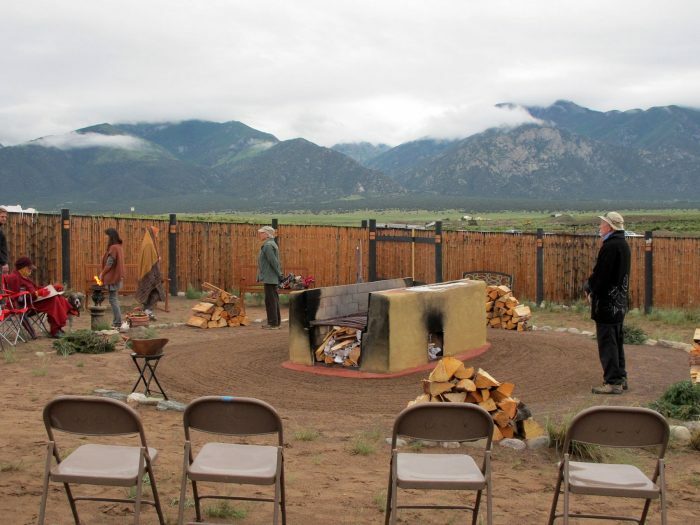 In Crestone, Colorado there began in 1998 a growing trend of private open-air cremations. As demographics changed, issues of legality and environmental safety were of concern, such that it seemed appropriate to establish a simple but permanent ecumenical open-air cremation site. The first organizational meeting was held in October, 2006. A year later – after many hours of meetings with the public and with local, county and state agencies – our first Conditional Use Permit was granted. 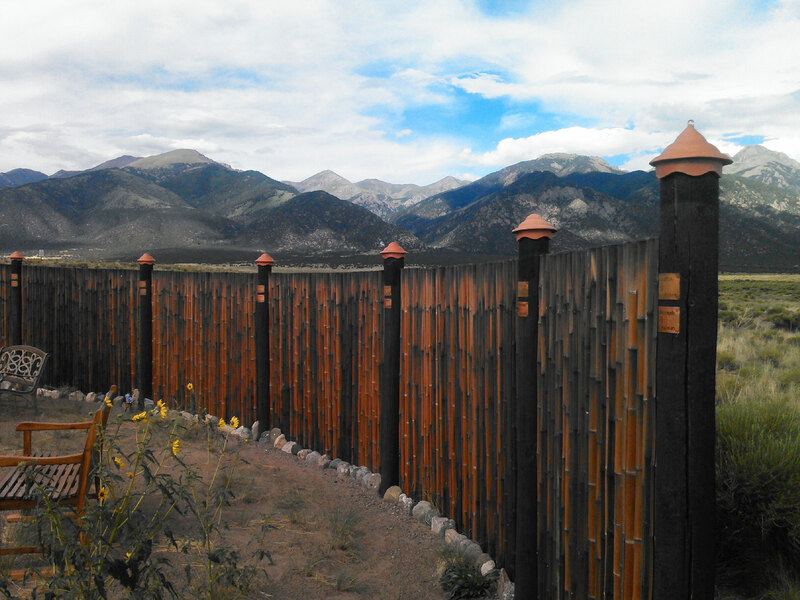 Dragon Mountain Temple founders, Steve Allen and Angelique Farrow, generously donated land for our use. A pyre was designed and built, the site was enclosed with screening and our first cremation was held in January, 2008. Since that time we have served numerous individuals, their families and friends, supporting them through each step of this life transition. We have developed close working relationships with the local Hospice, volunteer fire department, County Coroner and Clerk, as well as a nearby family-run mortuary. We are also expanding our work with other communities wishing to implement services similar to those offered by CEOLP. A CEOLP volunteer training – much like hospice training in intention – has been developed so that our volunteers can bring mindfulness, commitment and knowledge to their service of those who are transitioning, as well as to their families and friends. From these trainings, a manual has been created so that any CEOLP volunteer can be able to fulfill all the tasks efficiently and with confidence. A fundamental aspiration for the project is that representatives from each spiritual tradition and community group join in this ecumenical effort to serve the dying. CEOLP has made available a list of required documents, as well copies of the advance directive pamphlet “5 Wishes”, and we offer assistance in completing the forms. Notarized document copies are kept on file with CEOLP and are the main requirement for those wishing to engage CEOLP services. It is vital that families, partners, supportive friends and those acting as advocates/executors communicate with one another about these directives, and have the documents available and easily accessible. CEOLP does not want to jeopardize the future of end of life choice because state, county and local legal/environmental requirements have not been followed. CEOLP emphasizes the importance of taking personal responsibility for one’s end of life wishes and being prepared for this mysterious certainty that is only a breath away.